Mumbai: Earnings of Grasim Industries Ltd, India’s third largest cement maker, declined 23% in the three months to September compared with a year earlier, as higher input costs cut into higher sales. Higher costs of coal, raw materials and freight saw the Grasim reporting an after-tax profit of Rs486.43 crore, down from Rs620 crore in the same period last year. 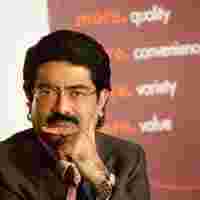 Grasim Industries, part of the Rs1.37 trillion (by sales) Aditya Birla Group, said in a statement that a slowdown in real estate and infrastructure resulted in slack demand for cement and prices may come under further pressure. Chief financial officer and whole-time director D.D. Rathi said the macroeconomic slowdown is going to impact the company for the entire fiscal year that ends in March 2009. The performance of its VSF business was impacted due to sluggish demand, given the global slowdown and liquidation of inventory in the value chain. The textiles sector has been adversely affected due to rising inflation and shift in consumer preferences, the statement said. A record increase in the prices of sulphur, pulp and caustic soda, coupled with the weakening of the rupee, led to a drop in operating profits and margins, the company said. “However, our major capacity expansion plans are nearing completion. So, there’s no question about not going ahead with (the) expansion plan. We will pursue new capacity expansion plans as and when it comes," Rathi said. Expansion at the company’s Shambhupura and Kotputli factories in Rajasthan is progressing satisfactorily, the statement said. Its grinding factory at Dadri in Uttar Pradesh, has also become operational, Grasim said. Rathi also expected input costs to come down in the latter part of this fiscal year. “Coal prices are cooling off," he said. “We are expecting a major relief in input costs. We are expecting the effect of this relief in the coming months." The price of cement may come under pressure in 2009, owing to the bunching of capacity expansion expected by March 2011, the company statement said.